For the 47 migrants stranded on a rescue ship off the coast of Italy for 10 days, the long ordeal is over. 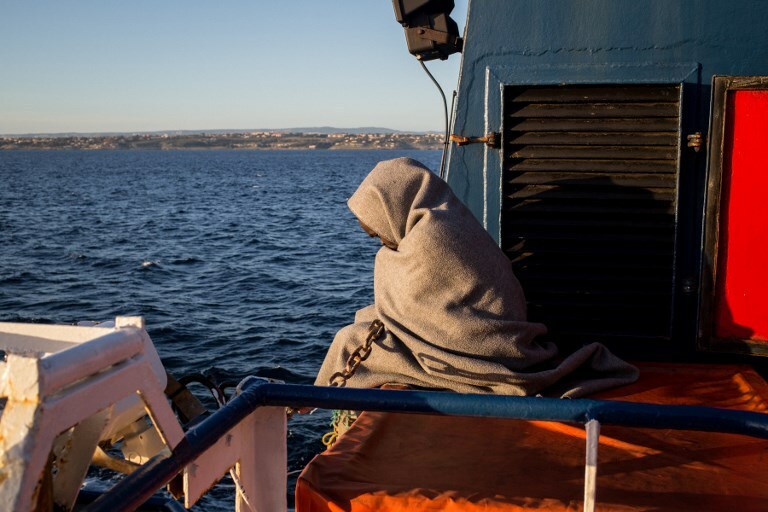 But for the government of Italy, which provoked the row by refusing to allow a rescue ship to dock, and for the European Union, still struggling to find a common migration policy, the row is just the latest salvo in a long-running battle of wills. The latest migration row began in late January, when a ship, the Sea Watch 3, belonging to a German NGO, rescued the migrants in the sea north of Libya and attempted to dock in Italy. Italian authorities refused, arguing that the ship, flying a Dutch flag, ought to dock in the Netherlands. The Netherlands refused, citing EU regulations. Languishing in the waters outside Italy for over a week, the NGO first tried to sue the Italian government, before a compromise was cobbled together last week that allowed the ship to dock in Italy, with the migrants dispersed to six other EU nations. The NGO called the delay “a hostage situation,” but Italy’s hardline deputy prime minister, Matteo Salvini, appeared determined to make an example of the case. He subsequently claimed victory. But the Sea Watch saga is only the latest salvo in a longer war. Behind the spat over one ship lies a much wider debate, revolving around one question: who should make the European Union’s migration policy? A tussle between national governments and the institutions of the union is forcing migrants into life-threatening situations and fraying the political bonds of the European Union itself. Europe’s migration policy is a mess. Migrants must claim asylum in the first EU country they reach, which means countries on the European Union’s southern and eastern front are disproportionately affected. Not all of the thousands who arrive are asylum seekers, but economic migrants seeking a better life. Some EU countries, feeling overwhelmed, have sought to draw a sharp distinction between the two and refuse as many economic migrants as possible. Complicating the situation are the various routes that migrants have used to cross into Europe. Since 2016, when Turkey struck a deal with the EU to halt migrants crossing its territory, the numbers taking the so-called “Balkans route” into Europe has dwindled. Now the boats mainly cross from countries on the southern Mediterranean, particularly Libya, still divided between rival governments, and head to Italy, Spain or Greece. Last year around 140,000 migrants arrived in Europe, the overwhelming majority to just those three countries. That is an enormous change from the one million who arrived at the height of the refugee crisis in 2015, but still a crisis that requires significant resources. The future of these desperate people is dependent on a very public political spat within the EU. At the root of the spat is Salvini himself: populist, uncompromising, convinced that national governments should make migration policy to suit themselves alone, and willing to pick multiple fights with both the European Union and national governments directly, in particular France. Salvini’s central complaint is uncontested: Italy does bear a disproportionate amount of the burden of the current wave of migration. But other EU countries are unfairly burdened as well. By making themselves the most high-profile critics of the EU’s policy, Italy’s coalition and Salvini himself have in fact become stumbling blocks for migration reform, because, even if the EU wished to reform rapidly, it currently faces an unpalatable choice. The only way to reform Europe’s asylum and migration policy is to make other member states, those not on the eastern or southern border, take more migrants. But national governments are reluctant, seeing how divisive an issue immigration still is across the continent. Such reform would also hand the populist government of Salvini a clear victory – and given that Salvini has said the EU “ruined our country” and “made Italy poor,” there is little appetite for that, to say nothing of how such a victory may empower far-right parties elsewhere. But even if there is no wish to save Salvini, that doesn’t mean that the constant bickering between the Italian government and European leaders has had no effect. Along with the UK’s impending exit from the bloc, the still-unresolved Greek crisis and the rise of far-right and anti-immigration parties across the continent, such public arguing exacerbates a feeling of division between member states, fraying the union. It contributes to a sense that there are not really EU-wide rules, but rules set by national governments. Reform is certainly necessary but the bloc has been too slow to make significant change. Instead, it has taken refuge in piecemeal decisions: Germany allowing in a million refugees between 2014 and 2015; the 2016 deal with Turkey; and multiple smaller deals with sub-Saharan African governments to limit migrants reaching the Mediterranean. Last month, the EU pledged $150 million to support job creation in Ethiopia, which hosts nearly a million African refugees. All the while, migrants from across Africa, desperate to find better lives for themselves, have become political footballs, pushed from one geographical route to another, at the mercy of changing rules and smugglers, stranded in the Mediterranean or stranded in North African towns, hoping. While European nations continue to bicker among themselves, the migrants outside Europe’s door await answers.